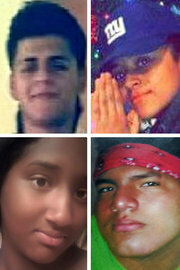 Clockwise from top left, Oscar Acosta, Kayla Cuevas, Miguel Garcia-Moran and Nisa Mickens. 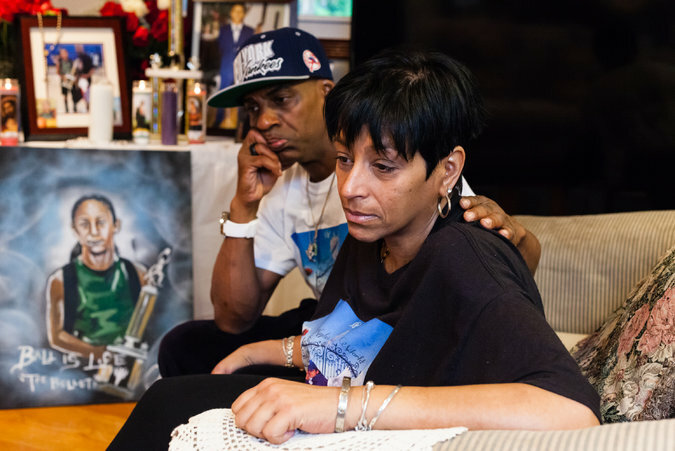 In her first interview since Kayla’s funeral, Ms. Rodriguez spoke measuredly about how her daughter had been bullied by gang members inside and outside her high school. 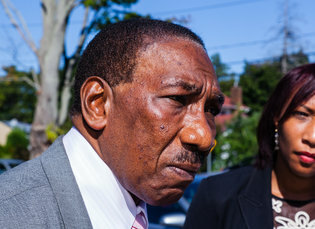 Timothy Sini, who became the Suffolk County police commissioner 11 months ago, after his predecessor, James Burke, pleaded guilty to civil rights violations and obstruction of justice, has vowed to eradicate the gangs. The department has increased uniformed patrols and door-to-door canvassing, and rejoined the eight-member Long Island Gang Task Force of the Federal Bureau of Investigation. Mr. Sini said he met recently with dozens of agencies including Homeland Security Investigations and the Bureau of Alcohol, Tobacco, Firearms and Explosives. “It’s not a good time to be a gang member in Brentwood,” he said. One gang member was arrested and was in federal custody for questioning, Mr. Sini added, although a motive for the murders was still unclear. The F.B.I. confirmed it was assisting the police. The Brentwood School District held a community forum last month with elected officials and parents that ran for four hours. There, according to Ms. Rodriguez, school officials said some students had been “red-flagged” for having possible gang affiliations. But ultimately, he said, after acknowledging that the administration knew of about 20 to 25 students in the district with possible gang affiliations, there is only so much officials can do. Some parents were concerned that the school’s response to the violence was not proactive enough. Levi McIntyre, the school superintendent, sent an email to parents warning their children not to wear royal blue, the color identified with MS-13, or clothes displaying the Salvadoran flag. A student on the way to school, he wrote, recently had his blue shirt torn off by gang members and burned. In 2009, a 15-year-old boy, Christopher Hamilton, was fatally shot in the head after an MS-13 crew in search of chavalas opened fire with rifles and handguns on a house party on American Boulevard here. 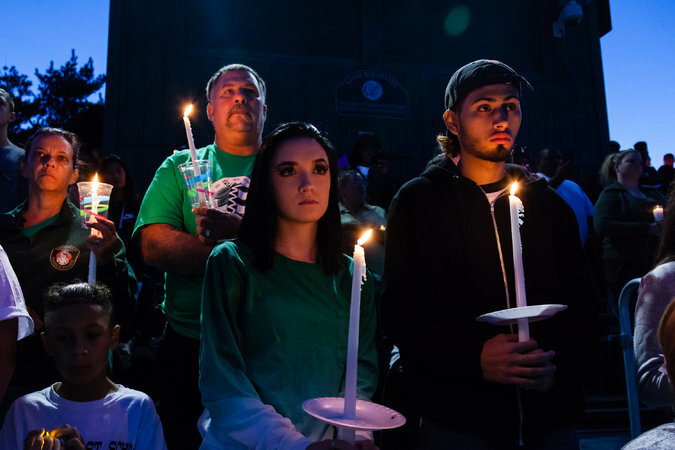 Two years later, an 18-year-old Brentwood man was fatally shot in his driveway, and a 22-year-old local leader of MS-13 was convicted of the killing. Noel Vega’s son was a classmate of the murdered girls, who wondered whether he could be next. 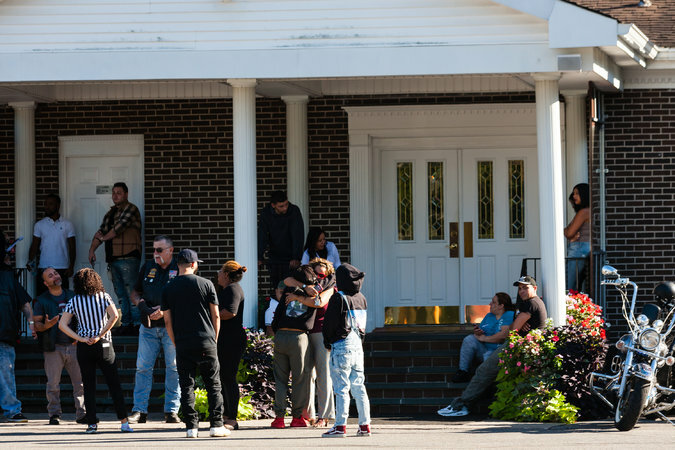 “He’s more upset about the fact that they keep finding bodies,” Mr. Vega said, standing outside a Brentwood funeral home for Kayla’s wake with fellow members of the Christian Motorcyclists Association. They are not the only group offering unofficial security to the town; he noted that the crisis even brought the Guardian Angels to Brentwood. Two law enforcement authorities, who spoke on the condition of anonymity because of the continuing murder investigation, said that over the last several years the gang has sought to enlist recent immigrants from Central America because they are often more vulnerable to recruitment. But some recently settled families are just as worried about their own children’s safety. “I am afraid, as a Salvadoran,” said Ana, 38, a mother of two girls, one in high school. She fled El Salvador in 2006 and has since become a member of Make the Road New York, an immigrant activist group. She did not want to give her full name for fear of retribution. 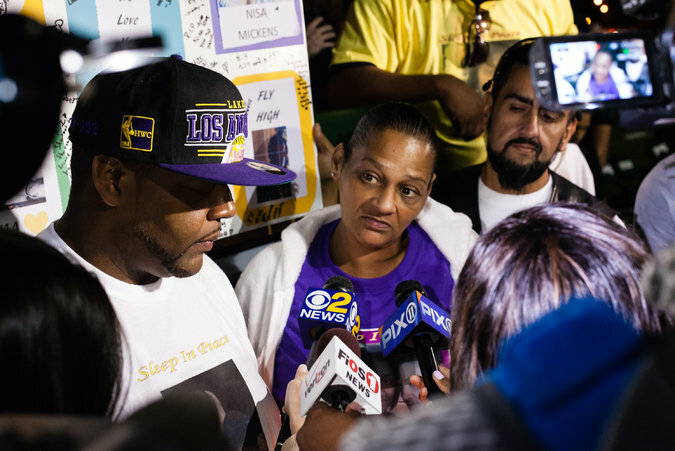 Distrust of the Suffolk County police among Latinos is palpable and long documented. Residents said they were dismayed by a dearth of Spanish-speaking officers, and undocumented immigrants in particular often worry that if they report information, the authorities will turn them over to immigration officials. 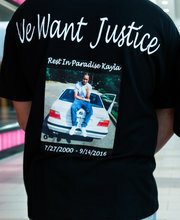 Mr. Sini said that would not happen, and that he was trying to reassure immigrant communities to work with the police. Ms. Rodriguez, whose parents came from Puerto Rico, said that two years ago, when gang members threatened Kayla on a friend’s block, she went to the police. The feeling of helplessness is spreading among the teenagers. At a vigil held for the murdered girls before a football game, some students held signs: “Help Us!” “Stop the Violence!” Others shook their heads when Mr. Sini told students to call a hotline for investigative tips. 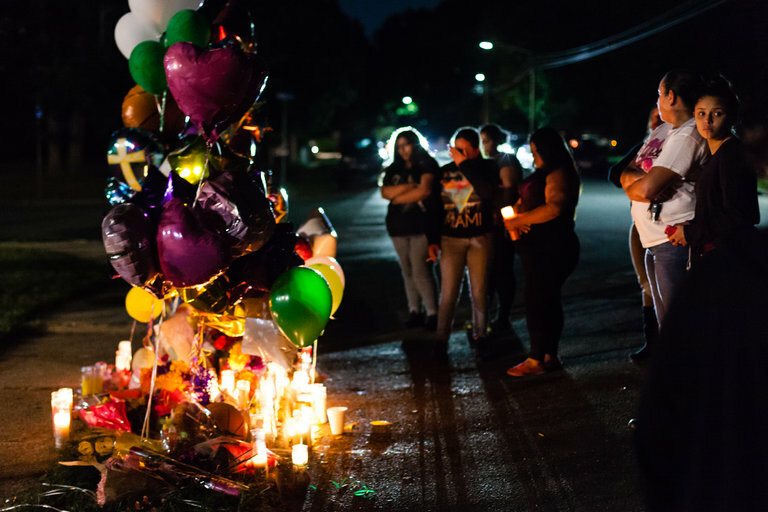 At memorials for both Kayla and Nisa, on the cul-de-sac near where their bodies were found, basketballs sat among the glass candles and deflated balloons. Kayla, a tenacious athlete, was going to try out for the varsity basketball team this year. Instead, her mother was starting a scholarship fund called Ball Is My Life. Ms. Rodriguez hoped her daughter’s death would at least stop the cycle. “It can’t go on anymore,” she said. An earlier version of this article misspelled the given name of the mother of Kayla Cuevas, one of the girls who was killed in what the authorities said was a gang-related homicide. Her name is Evelyn Rodriguez, not Eveylyn. The error was repeated in a picture caption.